What is the length of the perimeter of this square? 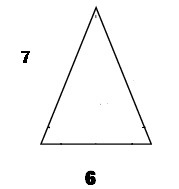 If this is an isosceles triangle (one with two equal sides), what is its perimeter measurement? What is the perimeter measurement of this rectangle? What is the perimeter measurement of this pentagon? 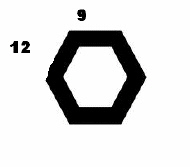 What is the perimeter measurement of this hexagon?